Wanna Go For A Ride ?? 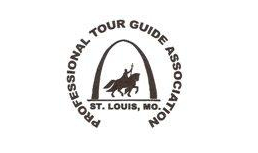 Get an up-close look at Downtown St. Louis and the Gateway Arch, Forest Park or the Soulard/Lafayette Square area plus many other greater St. Louis attractions on the comfort of a three-wheel Elekktric Trikke vehicle. It's a completely new machine in form, function, and riding experience. The Trikke (pronounced "Tr-eye-k") is uniquely stable and maneuverable so you can confidently flow past slower traffic or obstacles, and "carve" side to side for Trikke’s exhilarating skier’s feeling, and get an enjoyable, low-impact workout on your way – letting the breeze keep you cool. Perfect for couples, groups, and families, these specially designed Elekktric Trikke tours are the newest way to explore the city’s most popular sites with ease. So you don't miss anything your guide points out, you'll be comfortably equipped with a wireless listening device as well. Just step up, twist the throttle and Go! First Timers "Go For A Ride"